Every once in a while I get messages from YouTubers asking about Super Metroid Redux, an animation project I put a lot of time, heart, soul, and love into, and whether or not I’ve made any progress since ‘08. You’d think I’d pick it back up... Out of all the unfinished projects of mine (unfortunately there are quite a few, look at this place for example) this is the only one I look back on and shed a tear. I wouldn’t normally put a personal message out for everyone to see, but this one struck a nerve. I’m putting this here so that I have no choice but to see it out in the open every time I come here. A constant reminder of something literally devoid of my love for more than two years, set boldly on the face of the site I visit quite often, regardless of how often I add content. Hey man.. You don’t know me but I have a question. I apologize if it bothers you- because knowing youtube I’d bet there be a lot of people asking the same question.. But did you abort your super metroid redux project..? I visited your website and saw that the last entry was from ‘09.. Hoping that you didn’t give up, because it looks extremely cool. It’s funny you should ask that. This project has been knocking on my door for the last couple of months. I dropped it around the same time that the Mega Man 2.5D videos started surfacing. I guess I felt jealous or intimidated at the attention the Megaman thing gained pretty much overnight. Granted there is a lot more content and work my project, but I just felt like I was working on this super awesome thing, and then someone else went and did it first. I guess I developed a bit of resentment and it’s been sitting in a corner ever since, begging me to work on it. And the truth is, I’m dying to pick it back up. Forgive me for getting all "deep" there for a moment... You’ve officially inspired me to pick this back up. I begin work again this weekend. 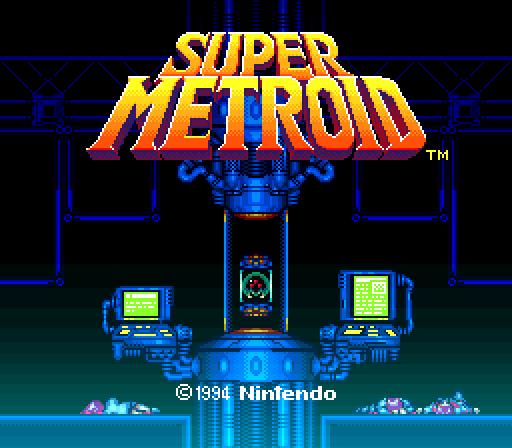 I WILL begin work again on Super Metroid Redux this weekend.